I just...can I have this book? I mean, can it be April so I can have this in my hands and read it and love it and hug it? 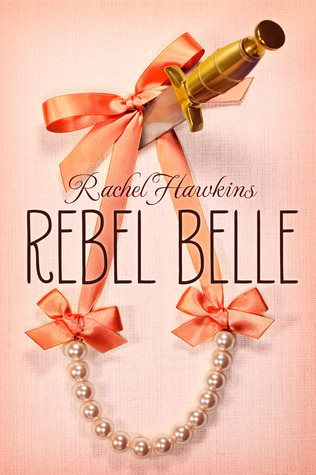 Rebel Belle is definitely up there with my most anticipated reads of 2014! I mean, have you read that summary? And that cover! It's also a Rachel Hawkins book which guarantees it's going to be witty and awesome. I can already tell that Harper is going to be one loveable protagonist, and I simply cannot wait to meet her. I am just SO EXCITED for Rebel Belle! Oh, nice pick! I love Rachel Hawkins, and I'm really looking forward to checking this out! Excellent choice! That summary is definitely intriguing. This will totally be on my TBR list. Lovely choice! So excited for this book, the main character sounds amazing ;)!